While holding that Bharat Stage IV-compliant vehicles should not be permitted to be sold in India after 31.03.2020, a three-judge bench of the Supreme Court has observed that health of the teeming millions of this country will have to take precedence over the greed of a few automobile manufacturers. On 29th March 2017, the Supreme Court had ordered that vehicles which are not BS-IV compliant shall not be sold by any manufacturer or dealer or motor vehicle company. Faced with a notification of central government calling upon manufacturers to switch over to BS-VI by April, 2020, the Society of Indian Automobile Manufacturers had requested the court that they should be given some time to sell the stocks of non-BSVI compliant vehicles manufactured upto 31.03.2020. Objecting this plea, amicus curiae Advocate Aparajita Singh pleaded that no non-BSVI-compliant vehicle should be permitted to be sold in the entire country after 01.04.2020. Referring to the Report of the Parliamentary Standing Committee, she submitted that any leniency on the part of the government in tackling air pollution will have a cascading effect on the health of the citizens. 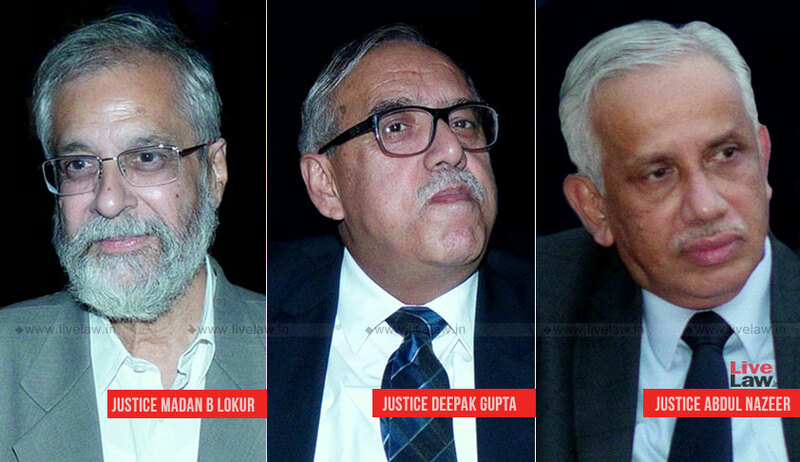 The bench of Justice Madan B. Lokur, Justice S. Abdul Nazeer and Justice Deepak Gupta observed that some of the manufacturers were not willing to comply with the 31.03.2020 deadline not because they do not have the technology, but because the use of technology will lead to increase in the cost of the vehicles which may lead to reduction in sales of the vehicles and ultimately their profit. “There can be no compromise with the health of the citizens and if one has to choose between health and wealth, keeping in view the expanded scope of Article 21 of the Constitution, health of the teeming millions of this country will have to take precedence over the greed of a few automobile manufacturers. The automobile manufacturers must behave responsibly. We expected that keeping in view our earlier order, they would have themselves volunteered to be BS-VI compliant by 31.03.2020. Unfortunately, this has not been the case with some of the manufacturers and they want to stretch on the timeline by a few days or months for no other reason but to make a little more money,” the court said. The bench also observed that sub­ rule 21 of Rule 115 in as much as it extends time for registration of vehicles beyond 31.03.2020 and must be read down for being violative of Article 21. Invoking Article 142 of the Constitution, the apex court read down sub-rule 21 of Rule 115 and directed that sub-rule 21 of Rule 115 shall be interpreted and understood to read that no motor vehicle conforming to the emission standard Bharat Stage-IV shall be sold or registered in the entire country with effect from 01.04.2020. “There is more than sufficient time for the manufacturers to manufacture BS-VI compliant vehicles. They already have the technology to do so. The automobile industry must show the will, responsibility and urgency in this regard,” the court added.